Another fabulous Berenstain Bears book! When we catch up with the Berenstain Bears it’s Christmas Eve and they have yet to decorate their tree!So Papa and the cubs set out to fetch a tree. Mama Bear told them to go buy one from Grizzly Gus and not to stray because a big storm was about to come in. Papa bear dismissed Mama’s plea and headed out in search of the perfect Christmas tree. With the cubs in tow they walked right by Grizzly Gus and headed to where Papa thought the best tree would be. But when they found the tree they find out it’s already taken. And the residents are not fond of what Papa Bear wishes to do with their tree. So they move on. Time after time Papa finds out the trees he wants to cut down and take home already belong to someone else. They’ve been gone so long that the storm had moved in and now everything was covered in snow. When Papa came across the final tree he noticed a light and went to see more. He found a little bird and his family decorating their tree. At that moment it hit Papa. And they started home. He couldn’t take another animals home or else where would they celebrate Christmas. So he resigns to buying a tree from Grizzly Gus. But when they arrive he’s all sold out. Defeated the trio head home with no tree. And when they arrive they find their home has been decorated with all the Christmas decorations! All the creatures that they had run into throughout the day had helped decorate their tree house and it looked fabulous. The Berenstain Bears’ Christmas Tree is a book that helps children see that Christmas is not about the quest for the perfect tree, that there is more to the holidays. Family is important and it does not really matter how big your tree is as long as you are with your family. It’s a very cute story and my daughter loved it. It does take a while to read through so make sure you have plenty of time. And the illustrations are so intricate and beautiful that your child is sure to want to linger on each page. 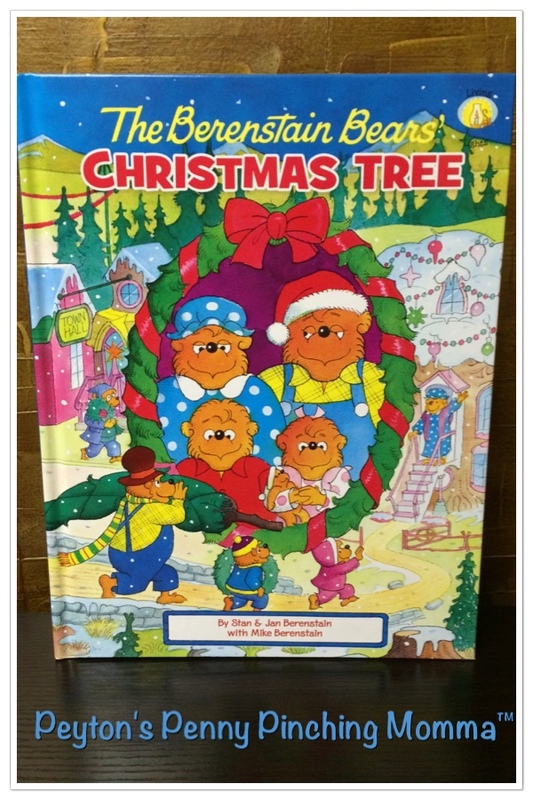 You can pick up you own copy of The Berenstain Bears’ Christmas Tree on Amazon.